We're proud to draw on the expertise of a Steering Committee made up of members who come from diverse backgrounds but share a commitment to creating long-term solutions to global forced migration. Ruma Bose is the Founder of Humanitarian Ventures, an impact fund investing in high growth technology companies with potential to have impact in the humanitarian sector. She was previously the President of Chobani Foundation and Chobani Ventures, supporting entrepreneurs and organizations with a mission to make better food for more people. In 2014, she strategized and executed the launch of Tent, Chobani Founder Hamdi Ulukaya’s personal philanthropic foundation. Michelle McMahon is a US lawyer with 25 years of legal and corporate finance experience. She was Senior Partner of a US law firm, specializing in financial transactions, and Chief Executive of the Jersey, UK subsidiary of a global financial services firm for capital markets clients. Michelle has served as an advisor and fiduciary of non-profits and social finance initiatives, primarily focused on education and children. In 2016 Michelle joined Innovest Advisory to draw on her experience to facilitate the strategic deployment of philanthropic and social investment capital to achieve social change. Carolyn Campbell is a Managing Director and Founding Partner of Emerging Capital Partners (ECP), where she provides management oversight of the firm’s operations and investments. Carolyn is also a member of ECP’s Executive Committee and of the Funds’ investment committees. Prior to joining ECP in 2000, Ms. Campbell was a Senior Associate at White & Case LLP in the firm’s Warsaw, London, and Washington, DC offices. She was also an Associate Professor at George Washington University National Law Center, lecturing on international negotiations. Dr. Campbell holds a JD from the University of Virginia School of Law and a Ph.D. in Politics from Oxford University. Rahul Keshap is Head of the Investment Foundations Program at CFA Institute, where he is helping deliver investment industry literacy. He joined CFA in 2002 as an Associate General Counsel and later spent more than two years based in Hong Kong as Director of Asia Pacific Strategy & Operations. Prior to his tenure at CFA, Mr. Keshap worked as an attorney at a business law firm in Virginia and a communications law firm in Washington, DC. He earned a Bachelor of Arts in Philosophy and Government as an Echols Scholar at the University of Virginia, and he also received a Juris Doctor from the University of Virginia. Kate Montgomery is Associate Director, Strategic Partnerships at Acumen. She leads business development and partner engagement for the Pioneer Energy Investment Initiative and Africa. Prior to joining Acumen, she was d.light’s Director of Global Partnerships for five years, developing d.light’s strategy for engaging with the public sector and other key partners globally. A key part of her work at d.light was to institutionalize strategy and to measure and communicate social impact across the enterprise. 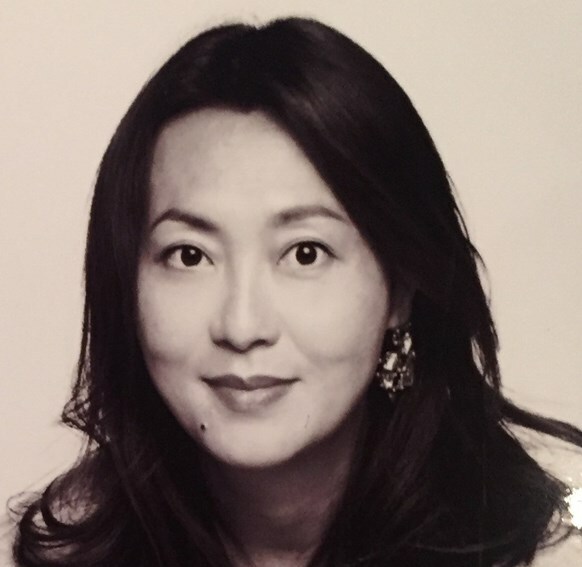 She holds a BA with honors in Political Science and East Asian Studies from Colgate University and a MS in Conflict Studies from the London School of Economics and Political Science. Lara Driscoe serves as Managing Director in the Office of External Affairs at the Overseas Private Investment Corporation, the U.S. Government’s Development Finance Institution. In this role, Lara is responsible for identifying emerging market investment opportunities, developing public and private sector partnerships and catalyzing private capital through innovative financial products to achieve development goals. Prior to OPIC, Lara was the Senior Director, Government Relations at the Managed Funds Association, an association representing the alternative investment industry. Lara received her J.D. from the Catholic University of America in Washington D.C. and B.A. from the University of Maryland. Michael Levett is an expert on international economic development and an experienced deal maker of public-private partnerships that promote local economic opportunity and economic growth while strengthening the building blocks of private sector development. He supports multinational corporations’ strategies in emerging markets by implementing programs and practices that increase local companies’ capacity to compete for and capture supply chain contracts, creating new national and family wealth, spreading prosperity, and increasing nation’s ability to participate in the global economy. Displaced from his home in the DRC at the age of six, Joseph grew up in the Kyangwali Refugee Camp in Uganda. At the age of 14, Joseph founded COBURWAS International Youth Organization to Transform Africa (CIYOTA) an NGO empowering young leaders through education, and which he continues to lead. Based on these early accomplishments, Joseph was selected to attend the African Leadership Academy, a pan-African leadership school based in Johannesburg, where he graduated. He also holds a degree in biochemistry from Westminster College (2015) in the U.S., where he received the school’s highest honor, the Outstanding Senior Award. Humaira Faiz is a member of the Global Sustainable Finance team at Morgan Stanley where she works to bring sustainable investing products and solutions across the firm, and in particular for the Investing with Impact platform in the wealth management channel. Before Morgan Stanley, Humaira was at Arabella Advisors advising foundations, family offices, and individuals to develop and deploy customized impact investing strategies. She started her career at Bank of America Merrill Lynch alternative investments platform, where she originated hedge fund and private equity funds. Humaira holds an MBA from NYU Stern and an undergraduate degree from Rutgers University. C.D. Glin is the President and CEO of the U.S. African Development Foundation (USADF) since September 2016. From 2011-2016 Glin was based in Nairobi, Kenya as the Associate Director for Africa for the Rockefeller Foundation. Prior to Rockefeller, Glin served as a White House appointee at the U.S. Peace Corps as the first Director of Intergovernmental Affairs and Global Partnerships, and was Vice President for Business Development at PYXERA Global. He is a life member of the Council on Foreign Relations and in 2011, was designated by the White House as a “Champion of Change” for his commitment and contributions to international service and civic participation. Christine Mahoney is a Professor of Politics & Public Policy and Director of Social Entrepreneurship at the University of Virginia. Her landmark book Failure and Hope: Fighting for the Rights of the Forcibly Displaced, which examines the failures of global advocacy on behalf of the displaced and calls for a new, investment-based approach to forced migration solutions, inspired the design of the RIN. She has been a Fulbright Fellow, Visiting Scholar at Oxford, a National Science Foundation grant recipient, and recipient of the Emerging Scholar award from the American Political Science Association. Christine holds a B.A. in International Relations, an M.A. in Comparative Politics, and a Ph.D. in Political Science from Pennsylvania State University. Sandra Osborne is the Director of Investments at ImpactAssets. She oversees investment management for the Giving Fund including sourcing, due diligence and investment selection. Prior to joining ImpactAssets, Sandra served as a Risk Officer at Developing World Markets, an impact investment asset manager focused on linking the capital markets and financial institutions serving the bottom of the pyramid in emerging and frontier economies. She also worked at Keefe Bruyette & Woods, a boutique investment bank. Gideon Maltz is the Executive Director of the Tent Foundation. He previously served as Deputy Chief of Staff to Ambassador Samantha Power at the U.S. Mission to the United Nations, and Director of Human Rights and Multilateral Affairs on the National Security Council. Prior to government service, Gideon worked as an attorney in the International Trade practice of Hogan Lovells and a consultant at McKinsey & Company. He has also served as a Junior Fellow at the Carnegie Endowment for International Peace and a Pre-Doctoral Fellow at Stanford’s Center for Democracy, Development, and the Rule of Law. Lev Plaves is Kiva’s Senior Investment Manager for Refugees & Displaced Populations, leading Kiva’s efforts to provide economic opportunities to displaced populations around the world. In 2017, Lev spearheaded the launch of the World Refugee Fund, an innovative effort to utilize Kiva’s crowdfunding platform to extend access to financial services to forcibly displaced populations. Kiva, the world’s largest crowdfunding platform for social good, has facilitated over $8 million in loans to refugees and IDPs in the Middle East, Latin America, and Africa since 2016. 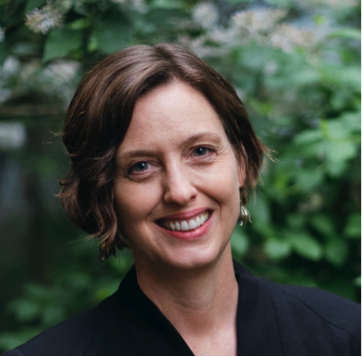 Amy Slaughter is Chief Strategy Officer of RefugePoint – an NGO with a dual mission of state- of-the-art direct services and systems change in the refugee solutions sector. Since the early 1990s, Amy has worked and consulted for a variety of refugee NGOs as well as UNHCR and the International Organization for Migration, working in refugee situations in the Balkans, Africa, and the Middle East. With a Master’s degree in human rights from Columbia University and a Bachelor’s in English from the University of Florida, Amy is a frequent panelist at refugee conferences and has published several articles on refugee protection. David Young works closely with the leaders of BCG’s Social Impact Practice to help clients navigate opportunities and challenges at the intersection of social impact, the firm’s Public Sector Practice, and the private sector. He also engages with BCG’s Grow Africa Team, tapping the vast experience he gained in that region during his time at World Vision and his exposure to Africa since 1976. At World Vision, David served as COO, leading a comprehensive transformation effort and overseeing the organization’s global field operations, emergency response, technical support teams, microfinance, and strategic support functions. Justin is a social investment specialist with over 15 years of experience in the structuring and implementation of innovative and large-scale impact investments, which have positively impacted hundreds of thousands of lives across a diverse range countries in Africa and the Middle East. He serves as a board member and adviser to several international charities, and local grassroots financial institutions, that are engaged in supporting the livelihoods of low-income communities. Matt Zieger leads US Ventures at Village Capital, a group that finds, trains, and invests in entrepreneurs solving real-world problems. As a past foundation president, senior state policy official, early stage investor and small business owner, Zieger worked for more than 15 years to use market forces to drive positive social outcomes. Most recently, he served as vice president of The Forbes Funds, a regional philanthropy focused on social innovation and capacity building. Suma Swaminathan joined the DWM private equity team in 2017. Suma previously worked at Empire Valuation Consultants, a boutique consulting firm in New York City. Suma started her career in data analysis at Infosys Ltd where she worked with clients like Capital One Auto Finance on loss forecasting and data governance. She also has experience working with partner weaver cooperative societies in the handloom industry in India to promote strategies for financial self- sufficiency. Warren Valdmanis joined Bain Capital Double Impact in 2017 after working for the firm’s private equity business for over 11 years. During his tenure with Bain Capital Private Equity, Mr. Valdmanis spent five years in Asia and Australia where he helped to extend the Asia Fund’s capabilities and opened the Bain Capital Sydney office. Prior to joining Bain Capital, Mr. Valdmanis was a Manager at Bain & Company covering a wide variety of industries across Bain Capital’s North American, European and South African operations, with a particular focus on private equity clients. Diana Won is the Program Manager for the Pershing Square Foundation, where she is responsible for program management, grant administration and communications. Diana joined the Foundation from Seoul, South Korea where she was a Henry Luce Foundation Scholar at MYSC, a social impact consulting company. At MYSC, she helped manage a program to train entrepreneurs in Southeast Asia, lectured at universities on Design Thinking, and helped adapt frameworks to measure social impact.